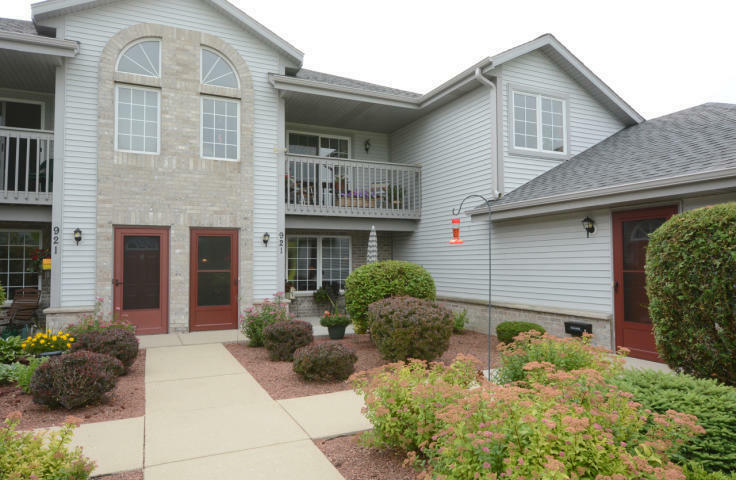 Absolutely stunning & pristine, this 2 BR, 2BA, 2 car GAR condo shows like a model! Prime, one-of-a-kind location w/views of conservancy, countryside & wildlife. Bright, open concept and neutral color palette. Gourmet kitchen w/Corian counters, tile back splash, abundant cabinetry, breakfast bar, appliances, pantry & spacious dinette. Sun drenched living rm w/maple Mohawk flooring. Master bedroom w/large closet & striking master bath. In-unit laundry & bonus storage. Beautiful private patio. A short walk to Pewaukee Lake, Village restaurants and shops, park & playground. Updates new bedroom carpet 2017, garage door and opener. Condo unit put new roof on and 2 windows in condo unit.